Adventures of Elis: PEMBROKESHIRE COAST, Wales. The county of Pembrokeshire lies at the westernmost tip of Wales in western Britain, and is surrounded by sea on three sides. Almost the entirety of the county’s coastlines, and some inland hills, estuaries and woodlands are protected by the Pembrokeshire Coast National Park (Welsh: Parc Cenedlaethol Arfordir Penfro); it is known for its clean blue waters and wild, rugged beaches. In the far west of the county is Britain’s smallest city – St. David’s (Welsh: Tyddewi). It is the size of a large village with a population of just under 1,800 people, but was granted city status by the British monarchy in 1994 due its religious importance. It was the resting place of the Welsh Patron Saint – Saint David – and is home to the beautiful St. David’s Cathedral. 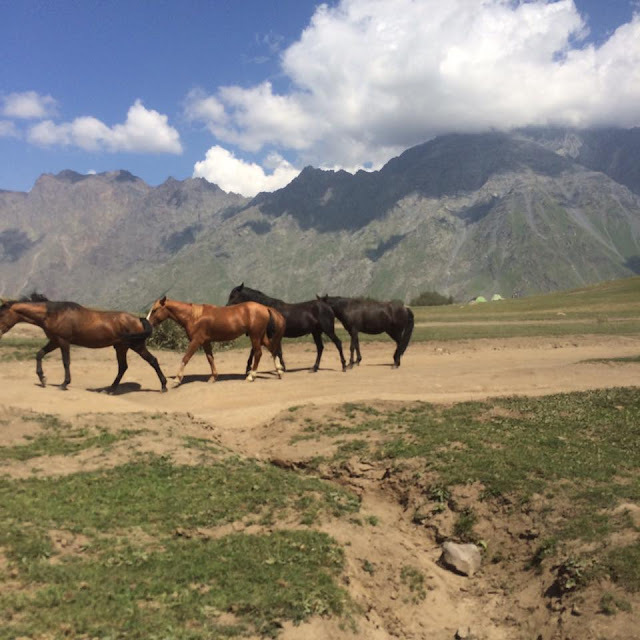 The village itself is quiet, but attracts a fair number of tourists during the summer months. There is a small square, lined with smart restaurants and a handful of independent shops, which are lovely to look around. The coastline around St. David’s is stunning; all sections of the coastal path in this area will reward you with amazing views. It is also perfect for beach holidays, with sandy beaches such as Whitesands and Caerfai all within just a couple of miles. I travelled to St. David’s easily last summer using public transport; by train as far as Haverfordwest, and then by bus with Richards Bros. Buses between Haverfordwest and St. Davids. Whilst in the area, the village of Solva – a small and colourful fishing village built at the end of a long natural harbour. I must stress that the St. David’s Peninsula is a very quiet and rural part of Pembrokeshire. For a livelier get-away, the small, but bustling seaside resort of Tenby is the best place to go. Tenby is one of the few remaining walled towns in Britain and is also well-known for its clean, sandy beaches and clear (though cold!) waters. The colourful buildings reflect the cheerful feel of the town, which is usually a hive of activity during the summer months. Tenby has lots of bars, making it very attractive to ‘hen’ and ‘stag’ parties. Tenby is the perfect British seaside town - it’s colourful, cheerful and has miles of lovely beaches and lots of pubs! I would definitely recommend a visit. South Pembrokeshire is wild and windswept, and characterised by a patchwork of green fields, woodland and stunning coastline. Like much of Pembrokeshire’s coastline, this stretch is protected by national park, and ‘heritage coast’ status. I visited Stackpole Quay and Barafundle Bay last summer, both of which were very pretty. The landscape is similar to that of the St. David’s Peninsula. Parking is at a National Trust car park, and then Barafundle beach can be reached by a twenty minute walk along the coastal path. Known for its remoteness, amazing views and golden sand, the beach has won many awards, with the Good Holiday Guide describing it as the ‘Best Beach in Britain’ in 2004, and then in 2006 the Country Life magazine described it as the ‘UK’s best picnic spot’. Being a largely rural county, even the main towns in Pembrokeshire tend to be on the small side. Some nice towns to visit are Pembroke, Haverfordwest and Narberth, all of which have lots of nice shops and cafés and are pleasant to walk around. Pembroke is home to an impressive castle, which overlooks the River Cleddau. The castle has a long and colourful history. This well-preserved castle is privately owned, which means there is an entry fee. 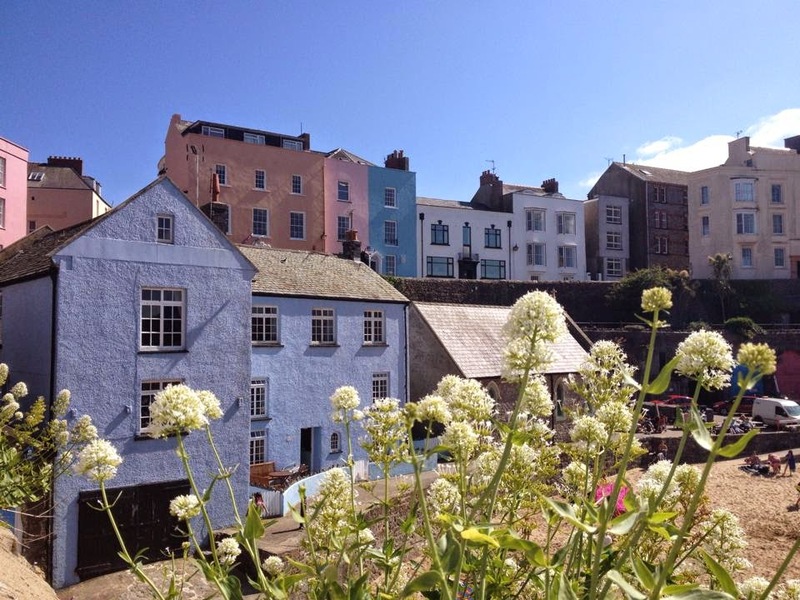 The county of Pembrokeshire attracts large numbers of tourists during the summer, and as a result lots of attractions have sprung up, particularly around Tenby. These include Oakwood theme park, Heatherton Adventure Park and for families with younger members there is Folly Farm amongst many others. For those who enjoy walking, Pembrokeshire is ideal – the very pretty Pembrokeshire Coast Path follows the entire coastline. The area around Milford Haven is rather more industrial; the Milford Haven oil refinery and seaport dominate this area. Tenby – great beaches, lovely town and great night out. As with anywhere in the UK, the weather can be unreliable, particularly outside of the summer months. That said, Pembrokeshire is the sunniest part of Wales, with western parts receiving up to 1700 hours of sunshine annually. I would say summer is the best time to visit the area, but the windswept landscape of Winter also has a charm.